A scene from The Shape of Water. Guillermo del Toro’s Oscar-winning film The Shape of Water is now in the clear—at least for the time being. A judge has thrown out a lawsuit accusing The Shape of Water of plagiarism. Earlier this year, the son of playwright Paul Zindel sued Fox and the film’s creators for plagiarism, claiming del Toro had stolen the plot of The Shape of Water from his father’s 1969 play Let Me Hear You Whisper, about a cleaning lady who works in a government lab who comes across an intelligent dolphin and chooses to set it free. In a previous interview with Deadline, del Toro swore he’d never heard of the play before and suspected the suit was filed during the Oscar nomination process in order to damage his film’s prospects. This isn’t the first time The Shape of Water has faced accusations of plagiarism. Fans of a student film called The Space Between Us brought up similar concerns last year, but they were later dropped. 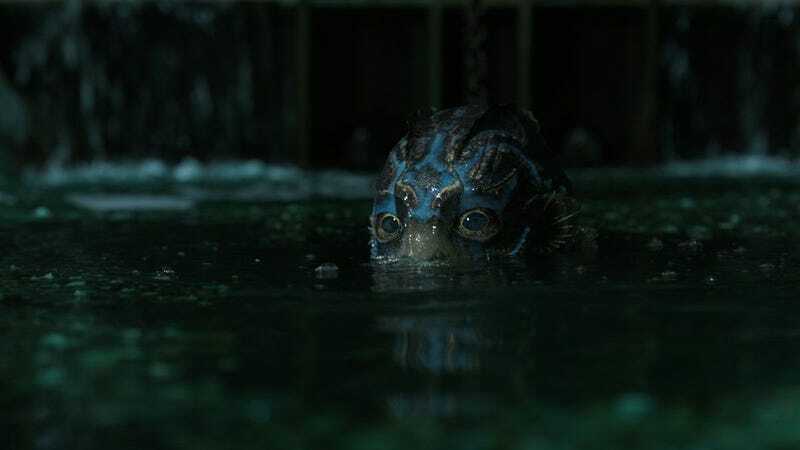 As far as where the idea for this film came from, del Toro says it came into being during a lunch with author Daniel Kraus, who’d long been working on a story about a creature locked in a lab and a janitor trying to bust it out. Currently, del Toro is said to be working on a film adaptation of Scary Stories to Tell in the Dark, as producer and co-writer. He also might be teaming up with Robert Zemeckis to remake The Witches, also as a producer.